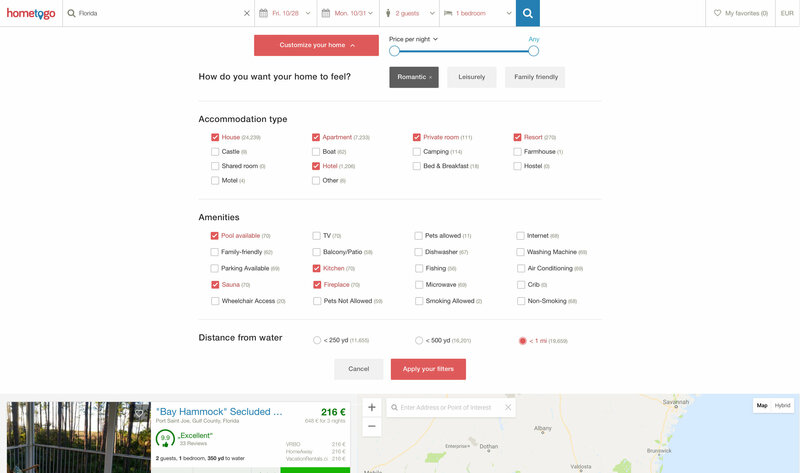 How to encourage users to use more filters in their search results? My solution: Recommended one-click filter choices orientated around the desired mood of a house. 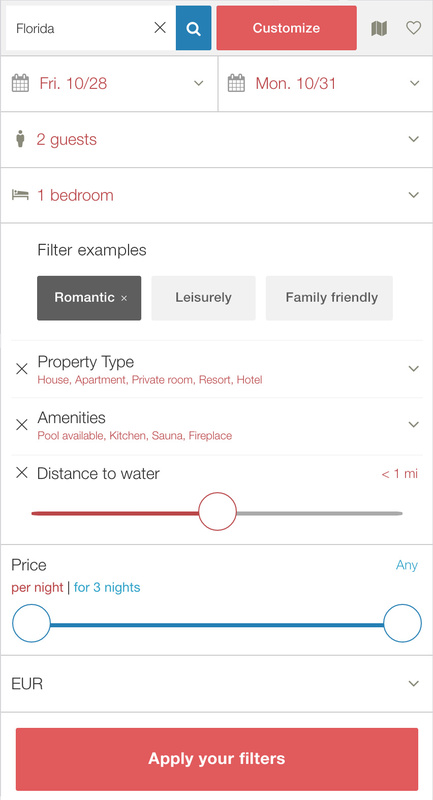 One click pre-selects multiple filters that fit the description, such as amenities that assist those who work from home, or families who are on holiday with their kids. These Software UI screens were designed for desktop use. Viewing these on a larger screen is recommended.